Paul teaches 5th grade in at Westgate Elementary School in Arlington Heights, Illinois and spends a great deal of time talking with fellow educators about developments in the best teaching methods. 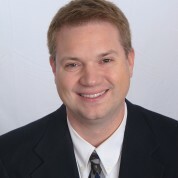 He has recently been given the Illinois Computer Educator of the Year Award. Driven by the belief that today’s education system is outdated and inefficient, he spends a great deal of time discussing best practices and new approaches with a network of fellow educators. He also travelled to Finland and China to compare their education systems with those in the US. He documents his reflections on his blog and shares his insights via social media and through workshops. He has created a Global Awareness Curriculum to help his students learn about other cultures, including those that are geographically nearby. This includes Skyping with authors and experts from other parts of the world, and ‘Mystery Skyping’ with students in other countries. He has identified 34 different 21st century skills that pupils need to learn and helps each of them record their progress with these through personal e-portfolio entries. Paul follows a project-based learning method that involves critical-thinking scenarios and real-world problems. Students predominantly work collaboratively with their peers and write (or create podcasts) for authentic audiences, such as classes around the world, authors and scientists. To imbue students with a love of learning, they are given time each week to pursue their personal interests and share their learning with each other.